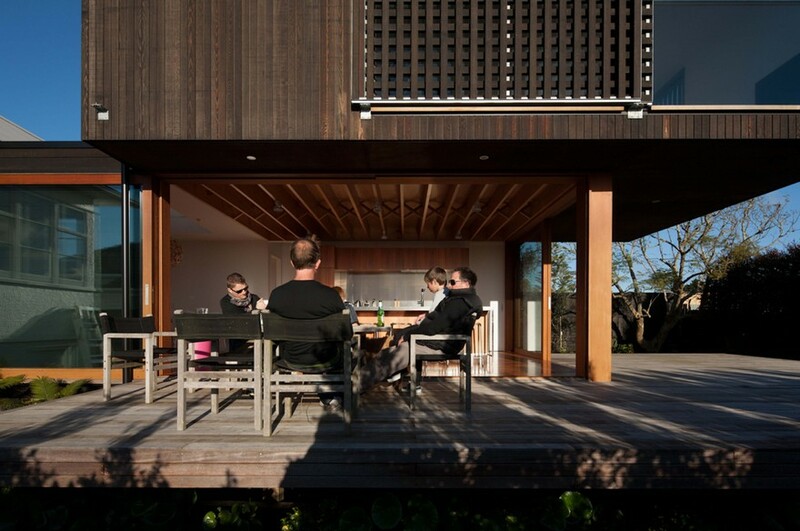 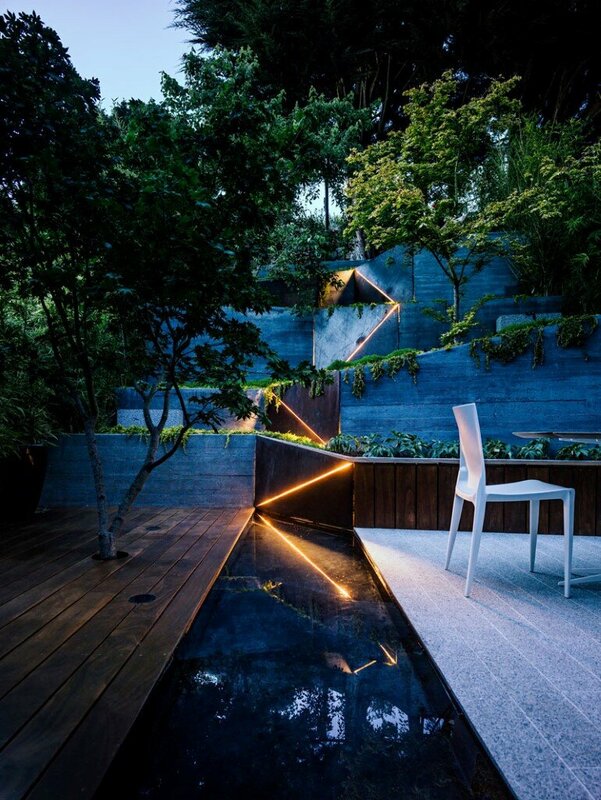 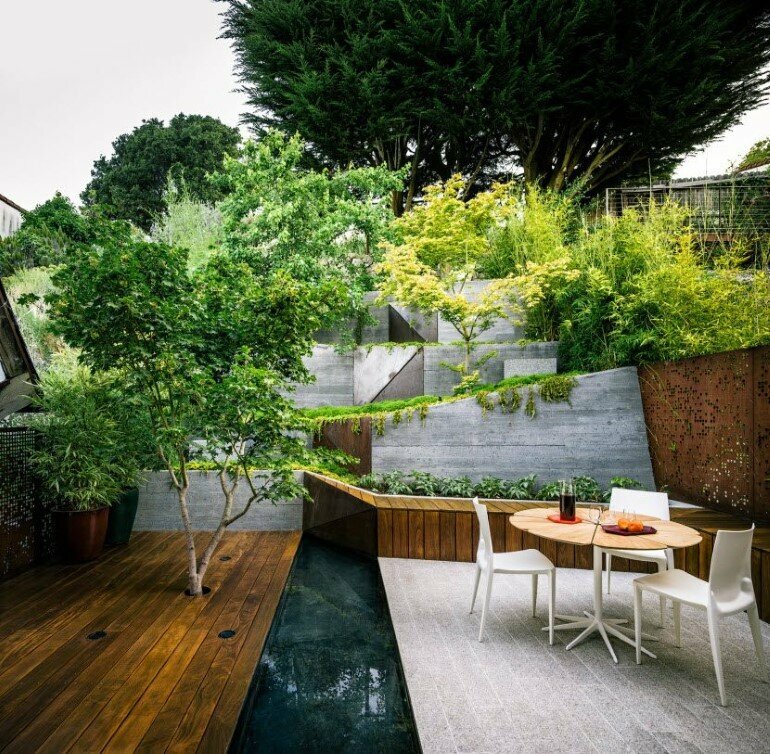 Winner of the 2015 ASLA-NCC Top Residential Design Award, the Hilgard Garden / Outdoor Living Space was designed by Mary Barensfeld Architecture in Berkeley, California. 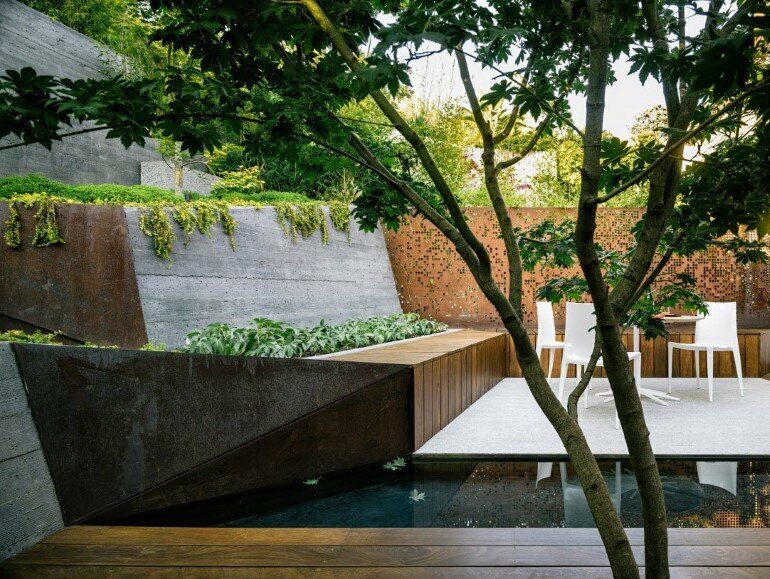 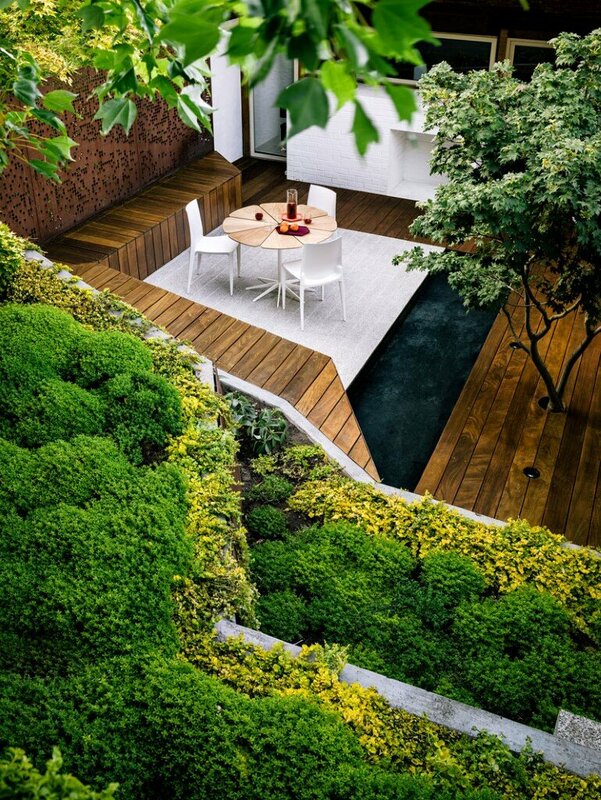 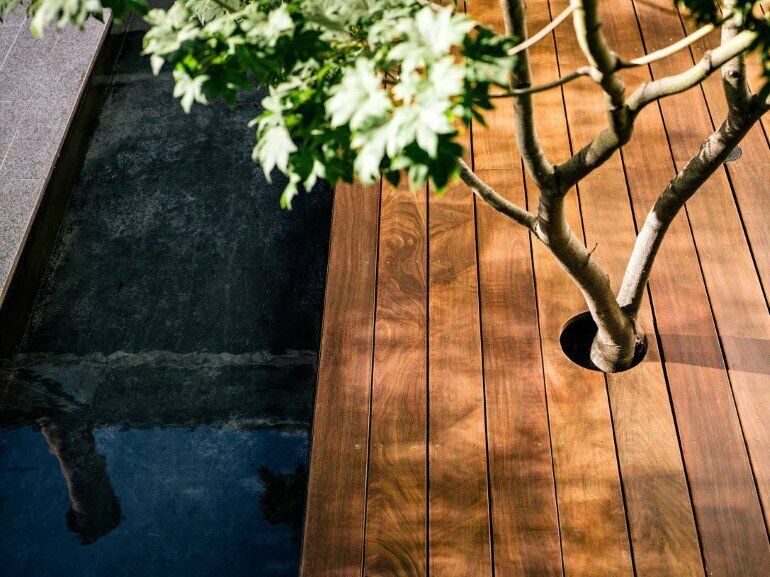 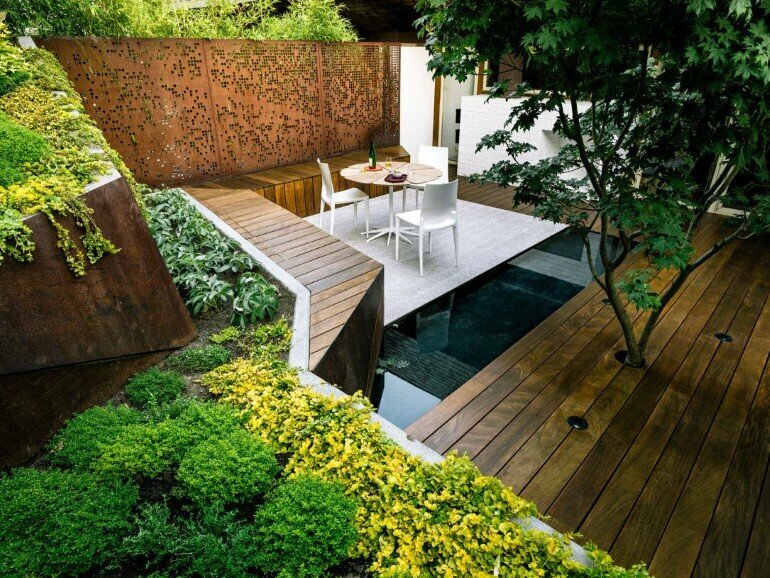 Description by Mary Barensfeld Architecture: A meandering ramp through aromatic groundcover and the limbs of three Japanese maples presents itself as a garden path in a Zen-like retreat. 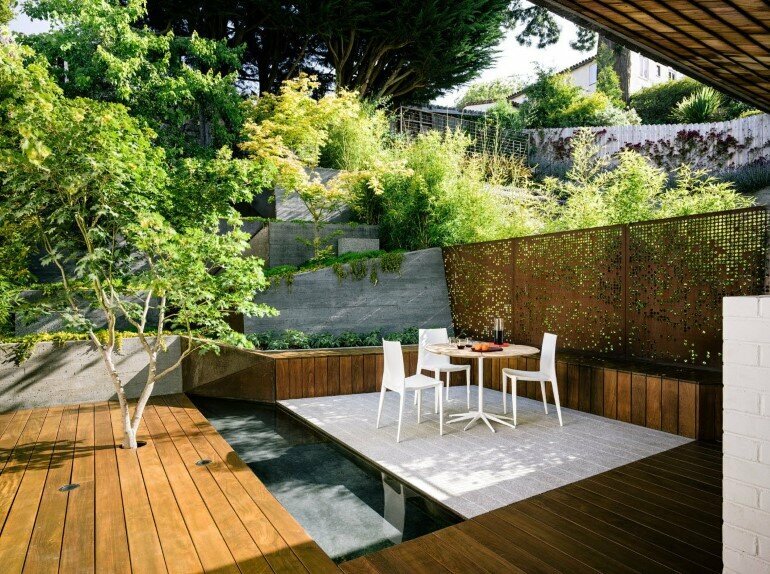 The garden, the back yard of a 1964 Berkeley, CA townhouse, traverses a steeply sloping site to provide access to an upper level patio with views of Sutro Tower and San Francisco. 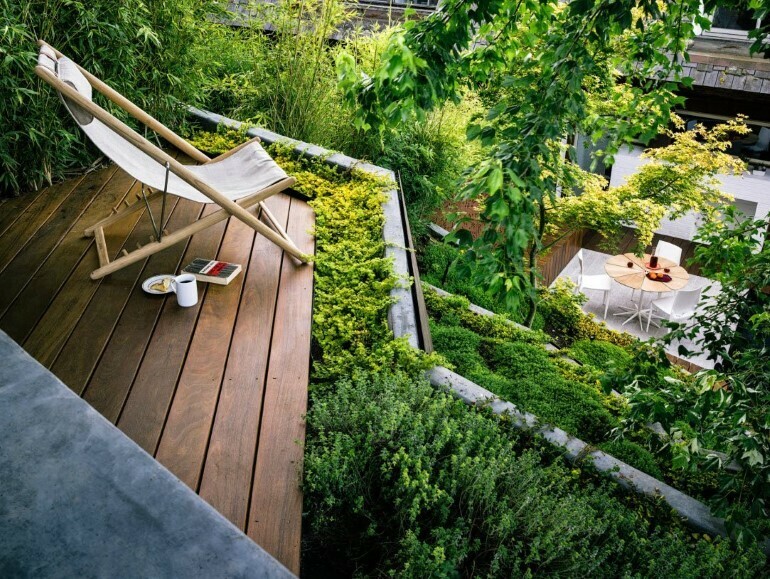 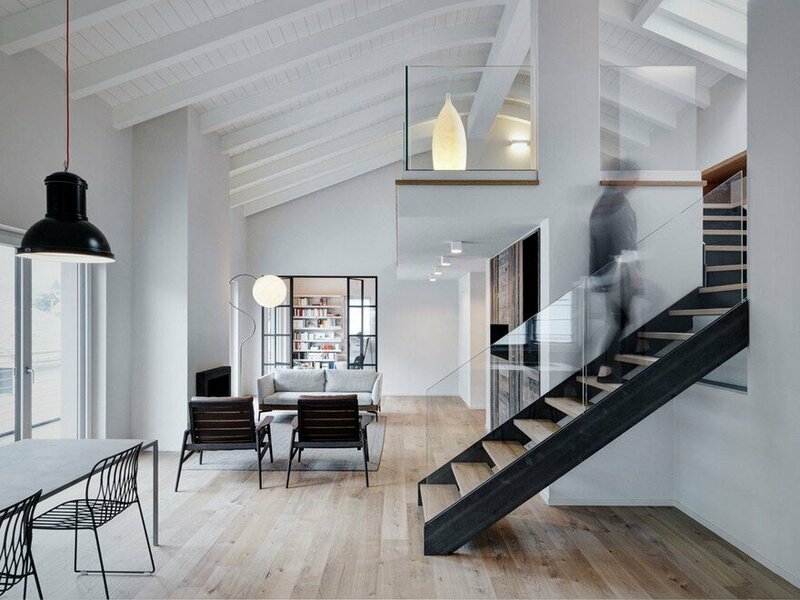 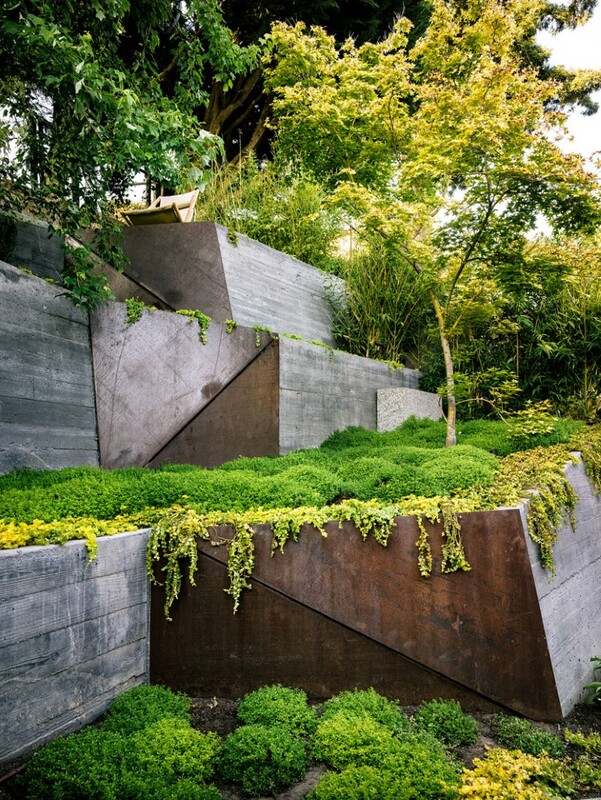 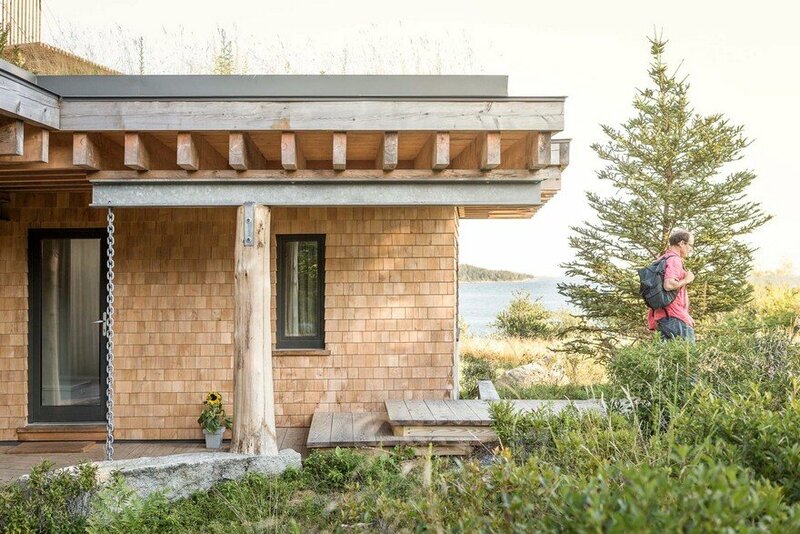 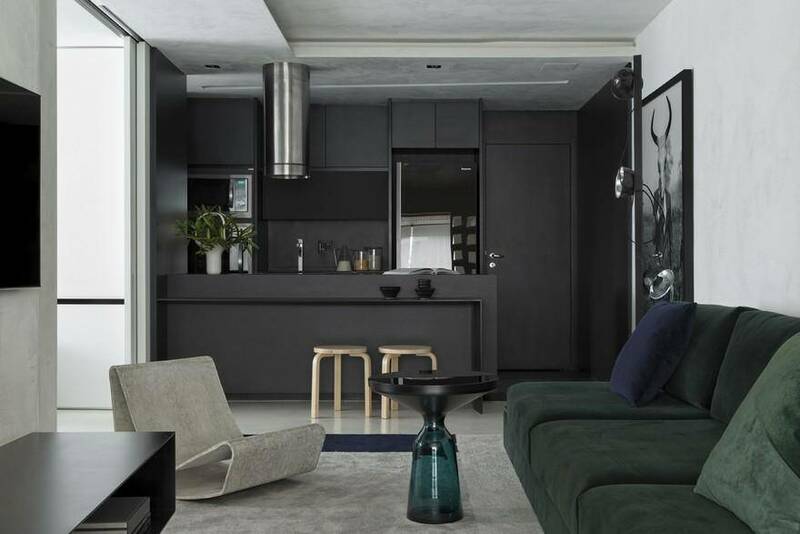 To avoid swallowing large swathes of the backyard square footage with a conventional stair, angular, board-form concrete walls with occasional steel armor slice their way up the hill while providing terraced planting areas. 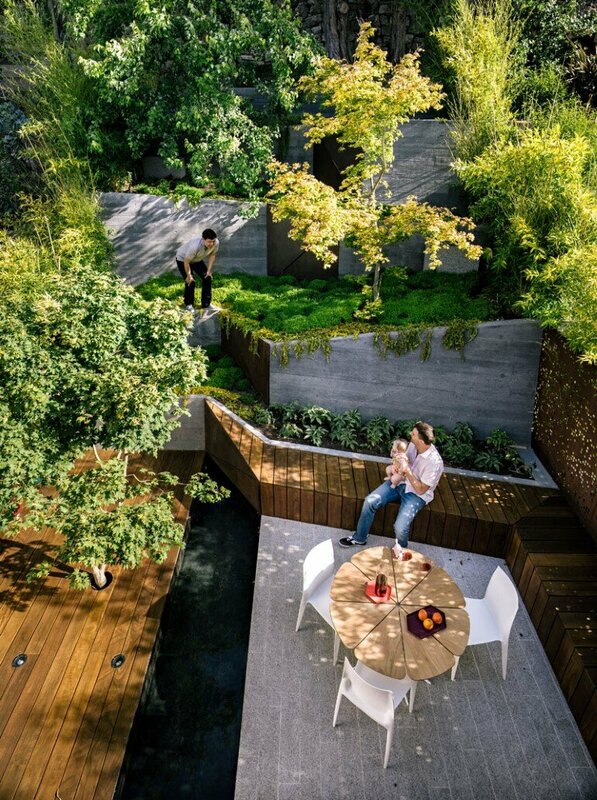 Visible and accessible to the existing townhouse living room, the lower level white granite patio unfurls its reflecting pool to greet visitors. 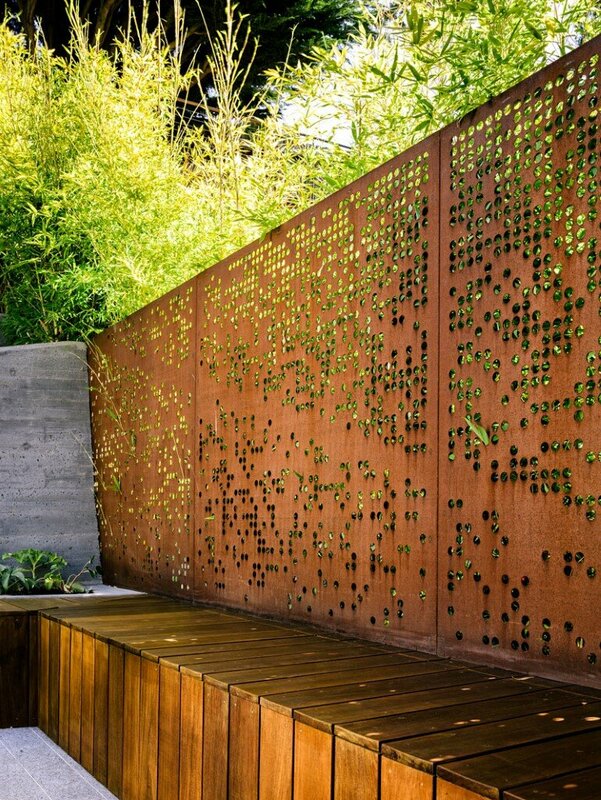 Water-jet cut, patterned weathering steel screens serve as both bamboo planters and screening between the neighboring townhouses’ rear yards.